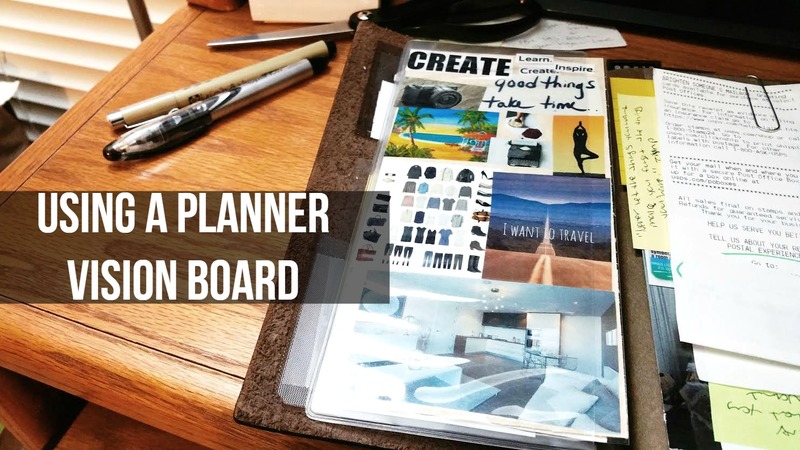 One thing that is a must for any planner I have is an inspirational vision board. Seeing as I use my daily planner every day multiple times a day, it only made sense to add a vision board within my midori as a nice reminder of my life goals. Now, this is not a replacement of the full size vision board that I have hanging up in the bedroom, or the dream jar that I keep in plain view on the desk, but more of a gentle visual reminder to keep going at it, and keep sticking to the baby steps that will eventually lead to the bigger leaps I have planned. For each goal I set and add to the vision board, I make sure the images are clear visual representations of the specific end results I'd like to achieve, the actions leading up to them can be measured in some way, the goal is achievable and realistic, and allow myself a reasonable amount of time to accomplish these. • Specific- Reducing the clutter, "junk," and necessary items within my home in order to live a simple and minimal lifestyle. • Achievable- This is the action plan to ensure that the goal can be achieved. By allowing myself to dedicate at least one day a week to go through a small section at a time, this will help me tackle the overall goal little by little to reduce the feeling of being overwhelmed. • Realistic- If it doesn't serve a purpose or is no longer useful in the household, then it can go. That's the reality of it. With that in mind, this helps me break down the sections easier by asking "Does this item help me or make my life any better?" If not, then bye-bye. • Timely- By giving myself one full week to find a specific section to tackle, this allows a fair amount of time to accomplish the goal accordingly. Understanding that meaningful goals and ideas take time, having a vision board to look at every day helps me visualize the end results that I hope (and will) achieve with determination, dedication, and patience in the process.